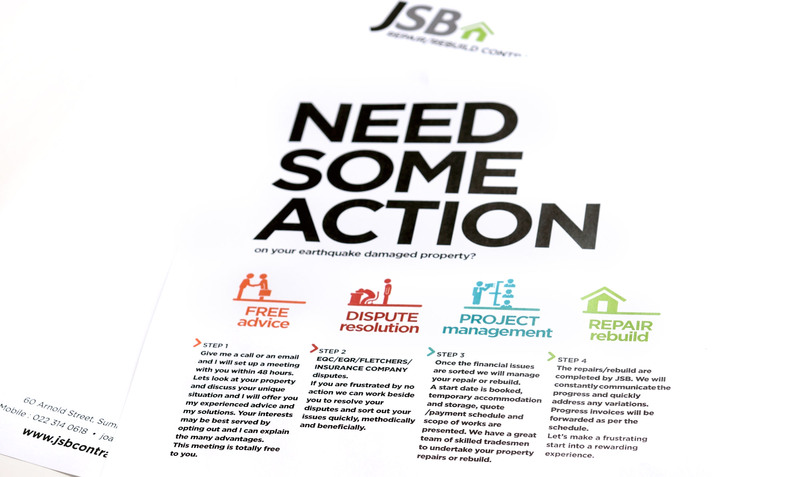 New brand identity for JSB Repair/Rebuild Contractors, who work to make a frustrating start into a rewarding experience. 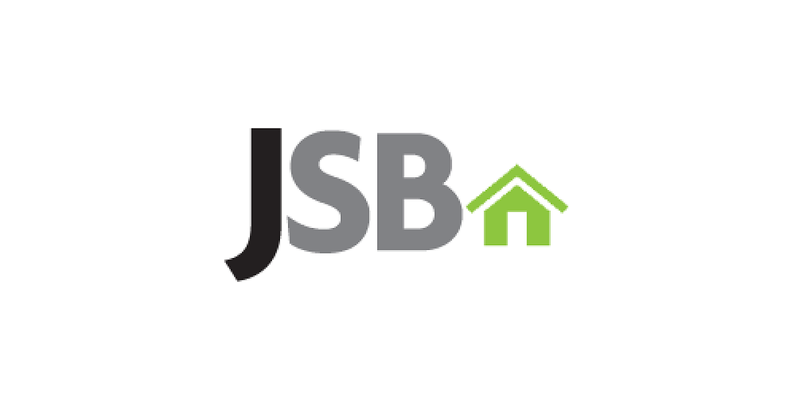 Earthquake repairs and rebuilds can be a challenging process here in Christchurch, but JSB Repair/Rebuild Contractors make the whole process easier. 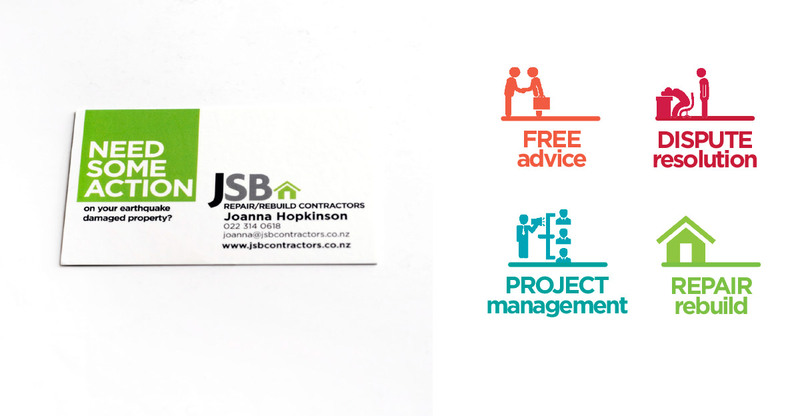 We developed a clear, concise and friendly brand identity to represent the support and personable service offered by JSB. This is continued through to the easy 4-step process, which we illustrated with people friendly icons for ease of navigation.